"To me, reviewing professional creative work helps to bring industry best practices to the classroom." 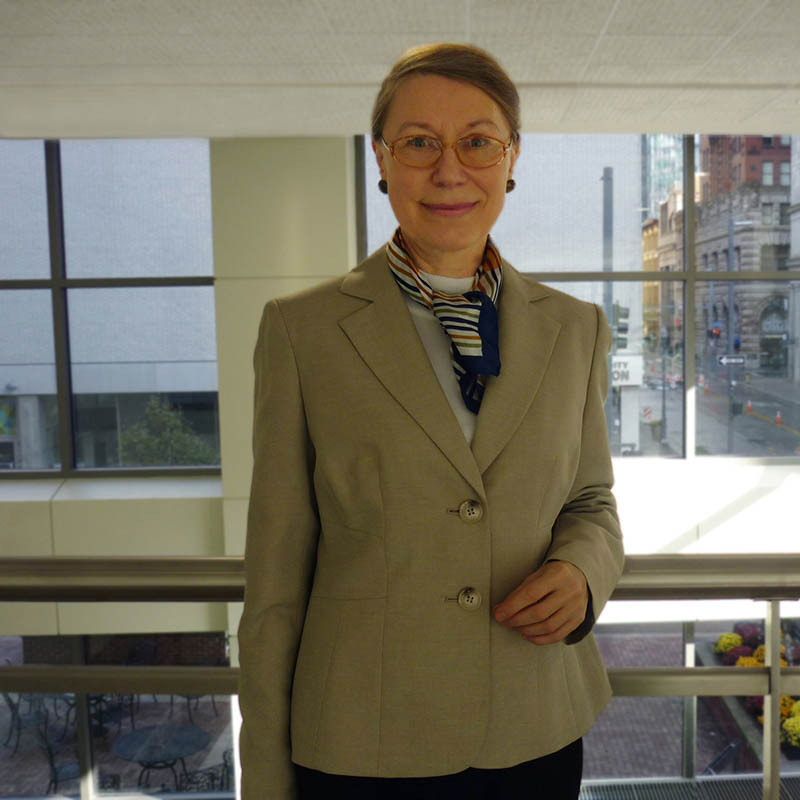 Tatyana Dumova, Ph.D., Point Park University professor of multimedia in the School of Communication, served as a judge for the 2018 annual International Davey Awards competition. Sponsored by the Academy of Interactive & Visual Arts (AIVA), the awards recognize outstanding work by small advertising and public relations agencies, production and design firms, as well as creative professionals around the globe. “The winning entries exemplify the best ideas and implementations that come from companies that do not have large funds, but, nevertheless, develop creative ways to communicate effectively and distinctively with their audiences,” Dumova explained. The judges reviewed a total of 3,000 websites, print designs, campaigns, ads and videos produced for Carnegie Mellon Engineering, City of Peoria, Ariz., ConocoPhillips, Danish Women’s Society (DWS), Disney, Health Promotion Board – Singapore, The Humanities Institute – UC Santa Cruz, Hyundai Motor America, Insurance Council of British Columbia, Komatsu America Corp., Maryland Public Television, Nuclear Energy Institute (NEI), Pennsylvania Ballet, The Smithsonian Institution, Sonoma Clean Power, Toyota Australia, Universities Space Research Association (USRA) and Visit Pittsburgh, among others. Dumova has served as the Davey Awards judge for the last four years. “To me, reviewing professional creative work helps to bring industry best practices to the classroom,” said Dumova.